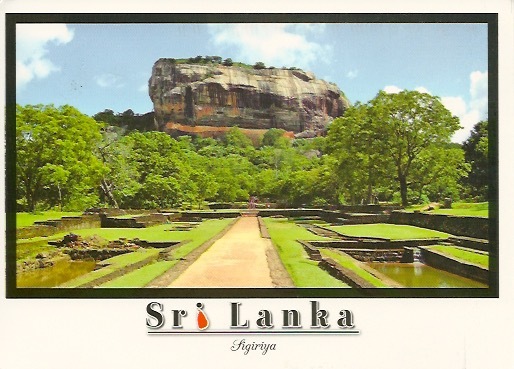 Asia-Sri Lanka-Sigiriya Rising from the central plains, the iconic rocky outcrop of Sigiriya is perhaps Sri Lanka's sing most dramatic sight. It is certainly impressive. On the way up there are sections of Royal gardens , frescoes and at the summit a beautiful terrace. I did not make it up to the top , too warm and happy to walk half way. A worthy World Heritage Site. The stamp features a warm orange sunset. I have to say you see these all the time in this area. Beautiful just to watch the sun go down.